The Chinese solar industry has long had trouble turning tremendous growth into profits or high valuations on U.S. stock exchanges. That’s one reason there’s now a trend of taking the few remaining Chinese solar manufacturers private and away from the scrutiny of the market. JA Solar (NASDAQ: JASO) is the latest to get an offer from management to go private, which will value the company at just $362.1 million, or $7.55 per share. That seems crazy for a company with $2.6 billion in revenue over the past year, but it’s where the solar industry is today. Here’s a look at this deal and what it may mean for the solar industry more broadly. JA Solar’s buyout is being led by Executive Chairman and CEO Baofan Jin, along with “Rollover Shareholders.” Jin is also a prominent government figure in China , which could help push the acquisition forward and give some direction for JA Solar’s future. The cash interest to current shareholders will be $1.51 per share, which is how we get to the $7.55 per share for each ADS (the shares traded in the U.S.) mentioned above. Management has been talking publicly about taking JA Solar private for more than two years, initially contemplating a $9.69 buyout price for each ADS. But this time the offer seems more legitimate and would follow a trend in China’s solar industry. Trina Solar started the charge of major solar manufacturers going private , completing its deal earlier this year. JA Solar would be the second major Chinese solar manufacturer to go private and leave Hanwha Q-Cells , Canadian Solar , and JinkoSolar as the three major Chinese solar manufacturers that are public and U.S.-traded. The truth of the matter is that Chinese solar manufacturers have always had ties to China itself and an unwritten obligation to the country. Early on, that meant growing operations and hiring workers even if operations weren’t profitable. And China’s state-run banks provided billions in loans to make the growth happen. Lately, Chinese solar manufacturers have been sending most of their modules to projects in China, despite the fact that economics may dictate better sale prices elsewhere. As China has implemented programs to grow domestic solar installations, the expectation has been that domestic manufacturers would fill the demand. What they’ve foregone is high solar panel prices in the U.S. , which has seen strong demand ahead of potential tariff implementation in early 2018. That’s left manufacturers with very little profit, despite strong short-term industry trends. What we don’t know is if Chinese manufacturers going private will mean that they’ll be given an incentive to constrain supply and generate sustainable profits through sales to Chinese developers. If companies have less incentive to grow — due to attempting to please public markets — and focus on more profitable operations, it could help stabilize solar panel prices. It’s also possible being private will mean companies push to grow manufacturing and employment in other parts of the business like installation, something the government has indicated it wants to lead the world in. That could lead to more government-sponsored funding to flood into the industry, leading to higher solar panel supply and continuing to push down prices. 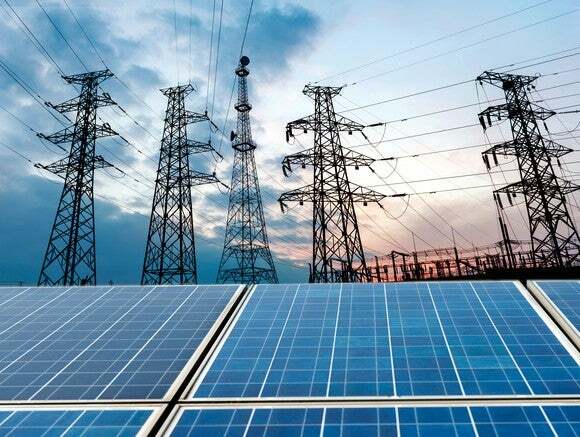 How government policy is set will affect market-based suppliers like SunPower (NASDAQ: SPWR) and First Solar (NASDAQ: FSLR) , who don’t have the same government subsidies to fall back on. Right now, it’s not clear which path Trina or JA Solar will choose, but they’ll be making plans without public eyes watching them. That lack of transparency will make it harder for investors to decipher just how China’s solar companies are doing compared to U.S. competition. David and Tom just revealed what they believe are the 10 best stocks for investors to buy right now… and JA Solar Holdings wasn’t one of them! That’s right — they think these 10 stocks are even better buys. Is Huntington Ingalls Industries a Buy?